Fruits & Passion is a Canadian manufacturer of bath, body, beauty, and home products that was founded in Quebec in 1992. Founders Jean Hurteau, France Menard, and Guy Hurteau launched Fruits & Passion with the goal of providing customers with products for the home and body made from natural ingredients. Today, they have hundreds of products for men and women of all ages. They even have products for children and babies. Fruits & Passion’s most popular collection is Cucina, a line of products inspired by Italian tradition, with ingredients such as olive tree extract and cold pressed olive oil. When you shop at Fruits & Passion, you know you are supporting a brand that cares about the environment. In fact, Fruits & Passion has a refill program for their liquid soaps and other bath products. What Can You Find at Fruits & Passion? Fruits & Passion is all about environmentally-friendly and natural products for the home and body. Their body care items include liquid soaps, shower gels, bath salts, and various lotions and creams. They also have skin care products such as moisturizers, toners, face masks, and other formulas that target specific skin concerns. Fruits & Passion also offers spa products and home products such as room sprays, scented ornaments, and more. Fruits & Passion is most known for their amazing fragrances. Their team of experts uses plant extracts and other natural ingredients to create unique scents such as coriander and olive, rosemary cardamom, sea salt and Amalfi lemon, orange and fennel, and more. With Fruits & Passion’s extensive array of products, there are so many options to help keep your home and body as clean and fresh as possible. We all want our homes to smell good all the time. There is nothing more relaxing than coming home after a long day and being greeted by the delicious scents of fruit and flower extracts, or sinking into a warm bath filled with your favorite fragrances. 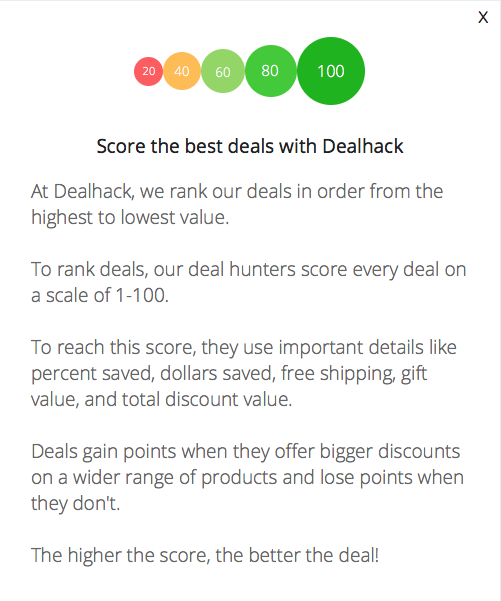 At Dealhack, we want to help you achieve just that. Check out the deals and coupons on this page to enjoy huge savings when you shop at Fruits & Passion. Fruits & Passion also keeps their current promotions in one place. When you visit their website, head to their promotions page for a full list of all their active deals and discounts. This is where you can find marked down products, two for one deals, product bundles, and more. To avoid missing out on any of Fruits & Passion’s special offers, you can sign up for their free email newsletter and follow their social media accounts. For questions and concerns about Fruits & Passion purchase, you can use their online contact form. You can also call them at 1-866-638-8417 from Monday to Friday, 8:30 am to 4:30 pm. You can also connect with Fruits & Passion by following them on Twitter, Facebook, Instagram, and Pinterest. Sign up to receive emails from Fruits & Passion. By signing up, you can get first look at their upcoming sales, special offers, and new products and fragrances. Visit the promotions page on Fruits & Passion’s website to find great deals such as discounted items, free gifts with your purchase, seasonal discounts, product bundles, and more. Discover the exciting scents of Fruits & Passion by visiting a retail location near you. You can use the store locator on their website and enter your city or postal code to find a store in your area. If you’re interested in exploring new products and fragrances, you can check out Fruits & Passion’s bestsellers page to get an idea of what other customers are loving at the moment. What is Today's Best Fruits & Passion Canada Coupon? Currently, the best Fruits & Passion Canada coupon is 'Free Shipping on orders $55+'. There is no code required to claim this offer. Fruits & Passion delivers their products to most locations in the US and Canada. Standard delivery time is 4-7 business days for Quebec and Ontario, 5-7 business days for Maritime provinces, 7-10 business days for Western Provinces, and 10-20 business days for Canadian territories. Shipping costs are calculated based on your order’s weight, volume, and shipping destination. The exact amount will appear on your screen during checkout. Fruits & Passion accepts returns of unopened products within 30 days of receipt. Items purchased online can only be returned by mail and cannot be exchanged at Fruits & Passion’s retail locations. To initiate a return, prepare your order number and invoice and get in touch with Fruits & Passion’s customer support team.